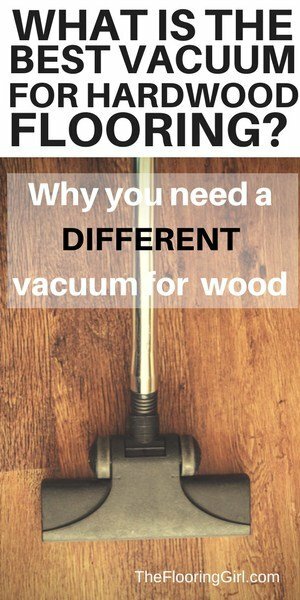 Do dark hardwood floors make a room feel smaller? 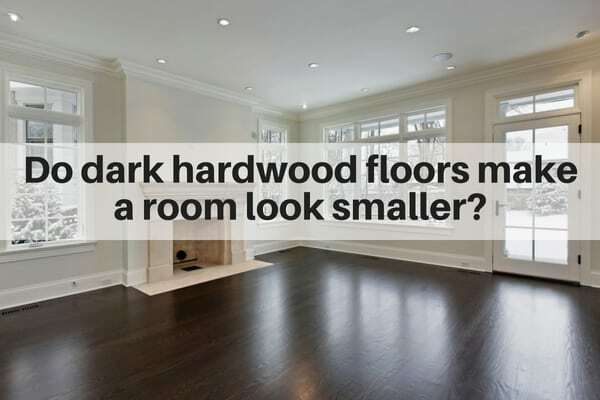 Does your space look smaller if you have dark flooring? And, what can you do to make your space feel larger? I think most people understand that light colors reflect light and dark colors absorb it, so darks make a space looks smaller…in the same way that black pants make us look thinner. 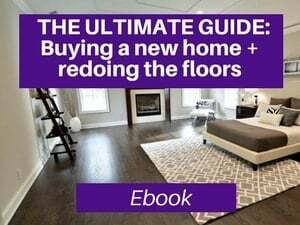 However, when it comes to home decor, things are a bit more complex because the floors are only one piece of the puzzle. 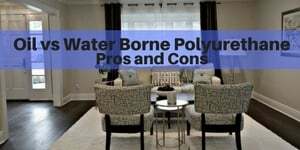 …the walls represent 4 sides of the room, so the paint color you choose has a MUCH bigger impact on how large or small your space looks. 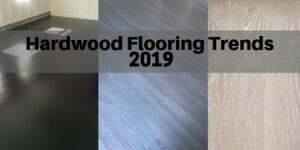 If I have to choose between the two, I generally recommend going dark on the floor and lighter on the walls…both because your room will look larger this way and also because dark hardwood floors are the most popular and are in style these days (see 2018 Hardwood flooring trends). 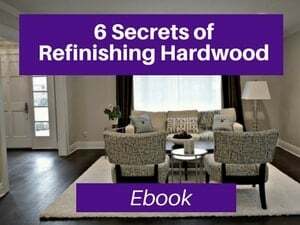 Also, don’t forget that after you get your floors done, you will most likely add an area rug (and you can choose a lighter one if you have dark hardwood floors), and you’ll have furniture on the floors as well. The floors are the canvas of your room. They help define the style and look, and personally, I believe you choose what you love, regardless of whether that is dark or light. And, yes, these are the two most popular sets of colors. 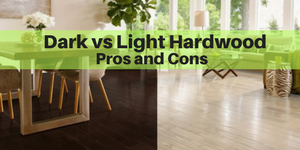 You can read more the pros and cons of dark and light hardwood floors in this article. 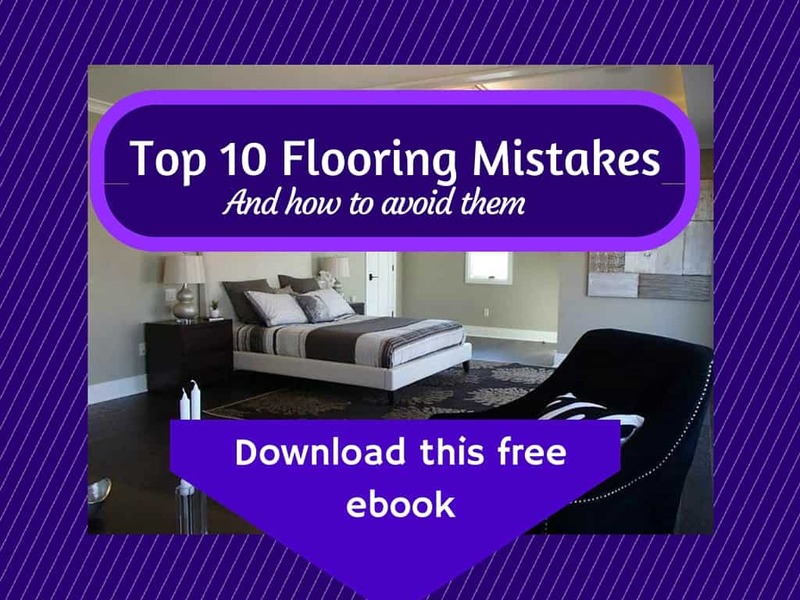 And, if you are concerned about making your space look smaller with dark hardwood floors, below are 10 tips to make your space look larger. 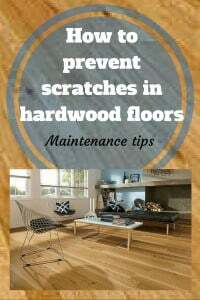 And, these tips work for both dark and light hardwood floors. 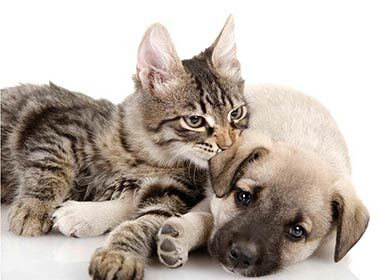 Note: If you click on many (not all) of the pictures, it will often show you more info about where you can buy those products. 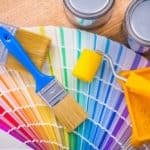 Painting your walls lighter will have a much bigger impact on how large your space looks than the floors will. 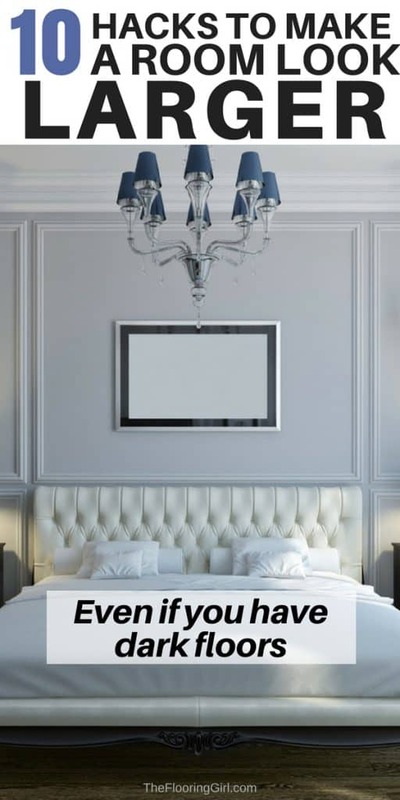 Currently, gray paint is the most popular and you can check out my tips on selecting the best shade of gray paint here. I would recommend a light gray (if you choose a mid or dark gray, you will make your space look much smaller). Whites and light blues and many other light colors can work as well. Go white on the ceiling and the base molding. If you are using Benjamin Moore, I’d recommend White Dove; for Sherwin Williams either pure white or Alabaster for the molding. Area rugs are a fun way to add decor to the room. 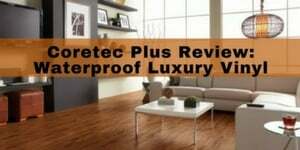 They will add a bit of warmth, protect your floors and reduce noise. 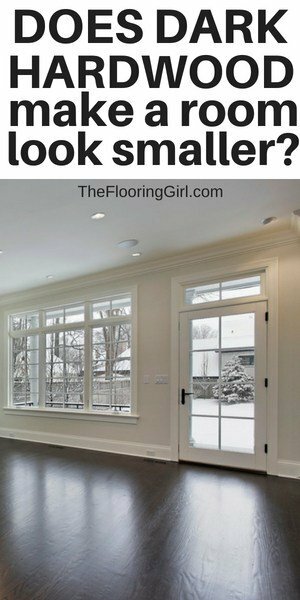 And, of course, if you have dark floors, I would recommend a light colored area rug, and this will lighten up the area even more. Pro tip: Make sure the area rug isn’t too big. If you have rugs that are too large and too close to the walls, they can make your space look smaller. If you like the one on the right, you can get it on Amazon by clicking it. Or, here’s a wider array of gray area rugs on Amazon. And, here are some other great choices available on Amazon. Just click the image if you would like more info. Yes, less is more. Your space will larger with fewer pieces of furniture, as well as smaller pieces. Don’t be tempted to supersize your sofa or coffee table. And, reduce the clutter and accessories. If you choose the same floors and are consistent with color across rooms, it will make your space look larger and more cohesive. 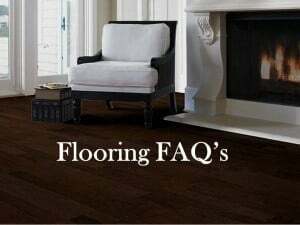 If you are replacing the flooring in your kitchen, consider hardwood to be consistent with what you have in the living room and dining room. If you are adding new floors, you may consider laying it on a diagonal as this will make your space look larger as you eye follows the hypotenuse of triangle. 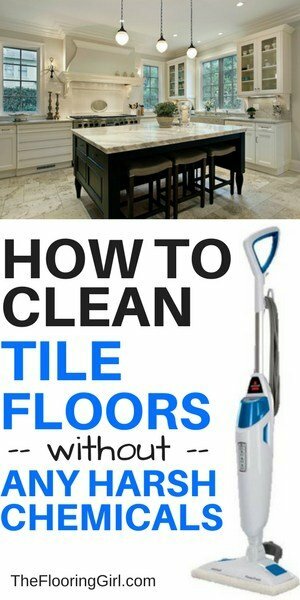 This holds true regardless of whether you are using hardwood or tile. And, it’s just more visually intriguing. 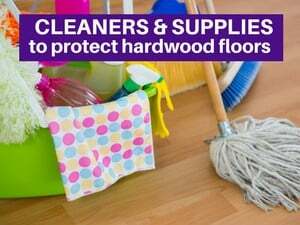 If you are replacing old carpet, consider refinishing the hardwood underneath as it will look better, be easier to clean and improve the value of your home. Again, this goes under the theme of less is more. Using few colors will create fewer distractions and will in turn make your space look larger. It will also make your space look more up to date. Now this one may sound counter intuitive, but hear me out. When you have a dark accent wall, due to our perception, our eye “pushes the space out” and our brain assumes the wall is further away. This works best when the accent wall is the same color tone as rest of walls, but a darker shade (so a mid gray next to a light gray, for example) and it works best when the accent wall is 2 to 3 shades darker, but isn’t too dark. 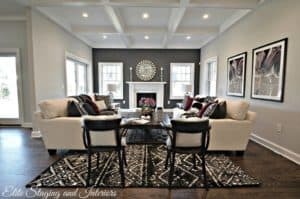 If you read my article on most popular shades of gray paint, you’ll see how I matched lighter grays with darker gray accent walls, so that they are color coordinated. Accent walls generally work best on a wall that is perpendicular to the window. Mirrors reflect light and therefore make a space look lighter and larger. But using mirrors on a whole wall, can look dated. Instead, use mirrors selectively (e.g. a starburst mirror or a mirror mounted on the wall/over a fireplace). You can find this starburst mirror here on Amazon (and there’s a silver version available as well). Lighting can make a huge difference, no matter the size and color of your room. Start with the natural light and remove or replace any heavy drapery or blinds. Instead, consider some short of sheer or cellular blinds…something that will let the light in…or even no window treatments. Of course if you have a larger budget, you may be able to replace and enlarge your windows, or eliminate panes. It’s amazing what a big picture frame window can do for your light…and your mood. Then, look at the interior lighting. Consider recessed lighting or pendant lights. If you’re limited on space, pendant lights, recessed lights or wall mounted lights are a great option as they are super effective and don’t take up floor space. You can get this pendant light here on Amazon. They have a wide array of styles from farmhouse style to modern here. Glass coffee tables will make your space look larger, especially when compared to chunky wood coffee tables. Likewise, coffee tables and chairs with open legs will also make your space look larger. You can find this coffee table here (and it’s very reasonably priced). Open floor plans are so popular these days, and for good reason. They make your space more fluid and convenient…and they make your space look much larger. Not only do the walls close you in (and take up a bit of space), but removing them allows the natural light to flow from room to room. So look around and see if there is a wall you can remove…or at least partially open up. The most popular spot to open up is one of the kitchen walls, but look around and be creative. While dark colors can make a space look smaller, it’s important to remember that the floors are just 1 element of the room, and the color of the walls has a much bigger impact on space perception. And, as you can see, there are many other ways to make your space look larger. So, my advice is to choose the color you love for the floors. 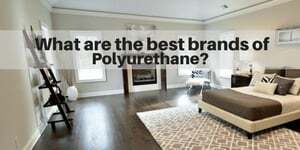 I’ve seen some rooms with dark hardwood floors that looked really spacious and inviting. But, I’ve also seen the opposite. Gabe – Yes, me too. That’s why it all depends on the whole decor including lighting.